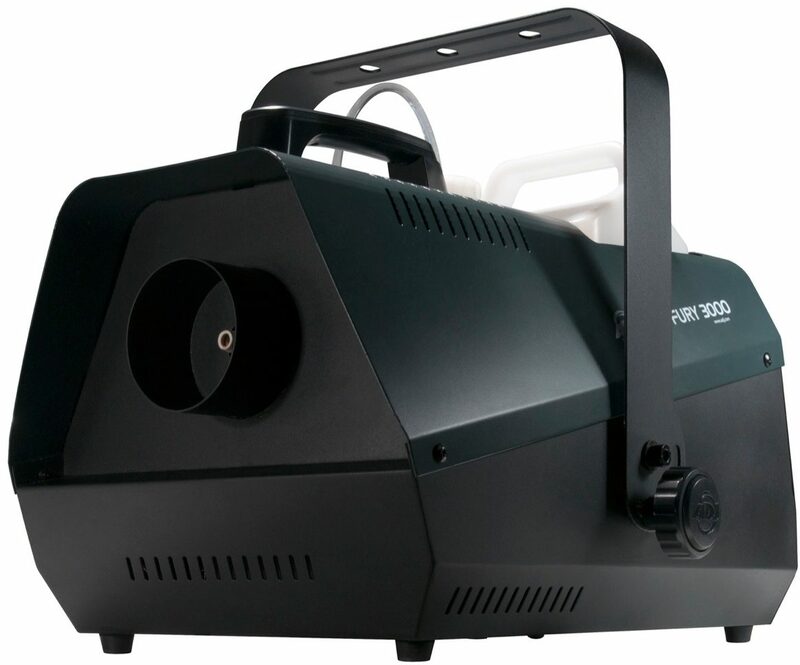 The ADJ Fog Fury 3000 is a 1500W professional DMX Fog Machine with advances in technology. It has a special heating element design that uses an oil type transmission throughout the pipeline to prevent clogging. It is also equipped with a high performance pump system for optimum output. ADJ's Electronic Thermo Sensing (ETS) technology is on-board to maintain optimum heat levels with no warm-up time between fog blasts. 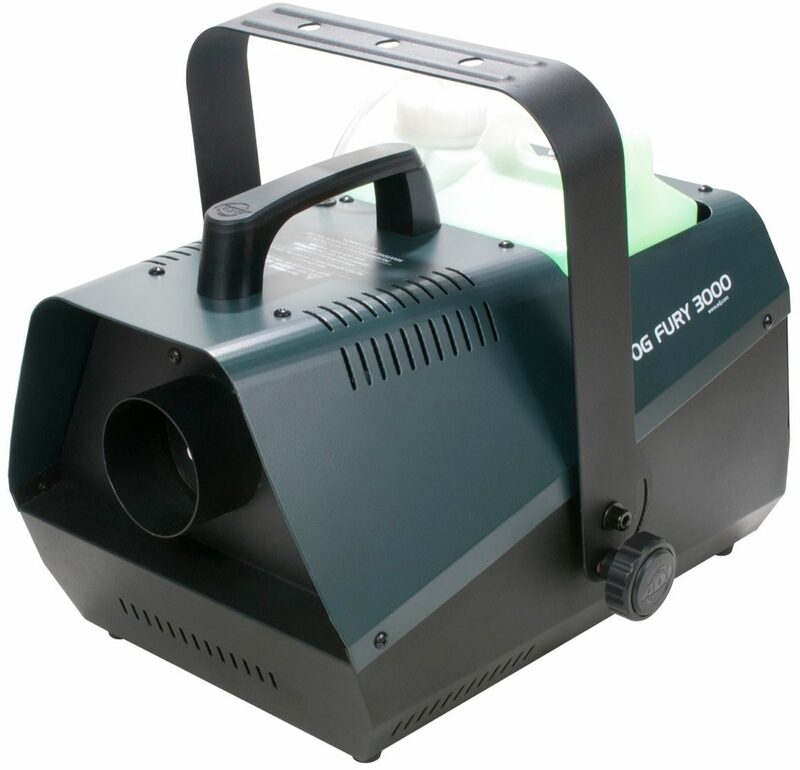 The Fog Fury 3000 also has convenient features such as a LED heating indicator system that changes colors depending on whether the fogger is heating up, ready to use, or if the fog fluid is low. 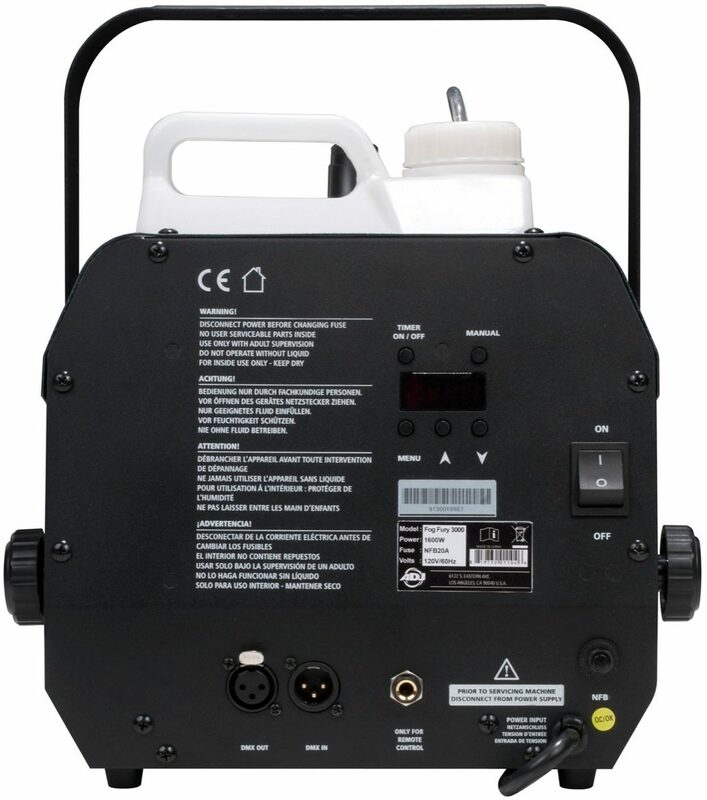 It also has built-in DMX control with a 3-button digital LCD display on the rear panel with 3 operational modes: Manual, DMX or built-in Timer Remote. 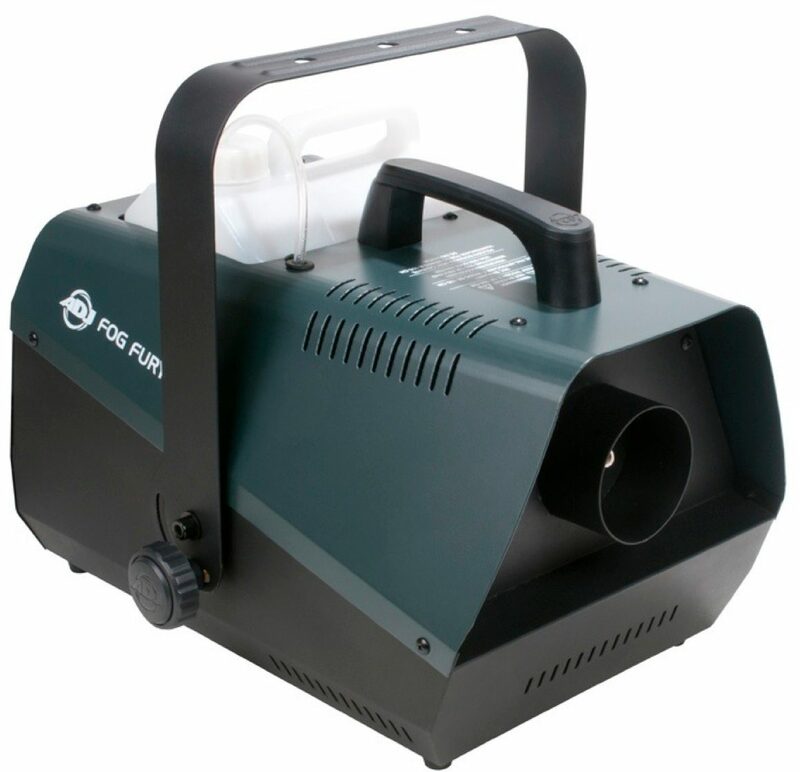 This fogger produces 21,000 cubic feet of fog per minute, has an external tank with a 5 Liter capacity, and has an 8 minute warm-up time. This machine uses water-based fog fluid only. - Warm-up time: 8 min.